The first trailer for The Wedding Guest is here. 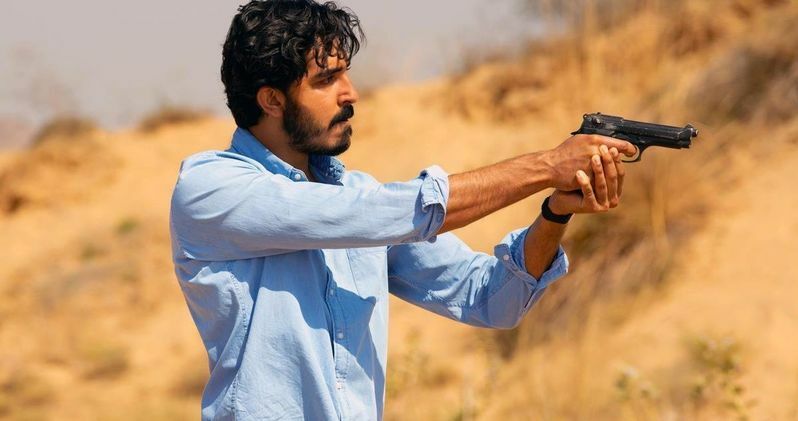 Dev Patel is, unquestionably, a very fine actor, from his work in the Best Picture winner Slumdog Millionaire to the criminally underseen real-life drama Lion, this is a man who knows his craft and can execute a role very well. But now it's time for him to stretch a new muscle, as Patel is looking to make a turn as something of an action star in his latest flick. Things kick off with Dev Patel gathering supplies for what, by all appearances, is a malicious kidnapping. This man intends to crash a wedding and, not in the fun Owen Wilson and Vince Vaughn kind of way. He's going to steal the bride in her sleep at gunpoint. But we quickly realize that things arenot so simple as they may seem. It's definitely more thriller than action. Less Taken and more Gone Baby Gone. Not to say that this necessarily looks like either of those movies, but just in terms of tone. It does set up an intriguing premise at least, even if it leaves a lot of question marks and open doors. Michael Winterbottom is in the director's chair. Prior to this, he's best known for his movies and TV series The Trip, which see Steve Coogan and Rob Brydon traveling to various destinations aggravating one another along the way. But some of his other credits include The Killer Inside Me, A Summer in Genoa and A Mighty Heart. Winterbottom also penned the screenplay, so this movie will largely ride or die based on his talents. Winterbottom serves as a producer alongside Melissa Parmenter, Deepak Nayar, Nik Bower and Dev Patel, co-producers Anthony Wilcox and Pravesh Sahni, with executive producers Andrea Scarso, Peter Touche, Line Producers, Victoria Goodall and Pranav Sahni.